If a certain application refuses to work as it should – repeatedly crashing, freezing or failing to cooperate then the probable solution is to “uninstall” that application and then reinstall the latest version. For many applications it is easy to remove by just dragging to the delete icon. But with a few applications this simple task often does not work. For example, some part of the entire application folder might remain and still needs to be deleted or some additional files or two in the library folder might need to be removed. There are only a few cases where the software might contain its own “uninstall’’ utility to enable all of this. There is rarely any additional benefit from doing more than that. But according to Apple there will be some instances, that might require you to remove every trace and iTunes is one. 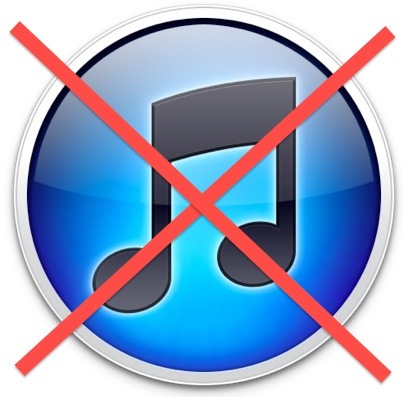 Here is how to uninstall iTunes on Mac when everything else has failed. First, launch Activity Monitor and stop the iTunes Helper process. Second, delete this same process from your Login Items list (Accounts System Preferences pane). Then the last step is to restart the Mac. But there are times when even this isn’t enough. You will have to go to (~/Library/Preferences) and all files should be deleted that start with (com. apple. iTunes), including all in the subfolder By Host. Even all of this may not get this small task done. Since your iPhone or iPad, or iPod is not familiar in iTunes, you might need to delete and then reinstall the Apple Mobile Device Service. Then start up your Mac. If nothing works, go to a Mac forum and it is certain you will find someone who has faced this problem and can help you.